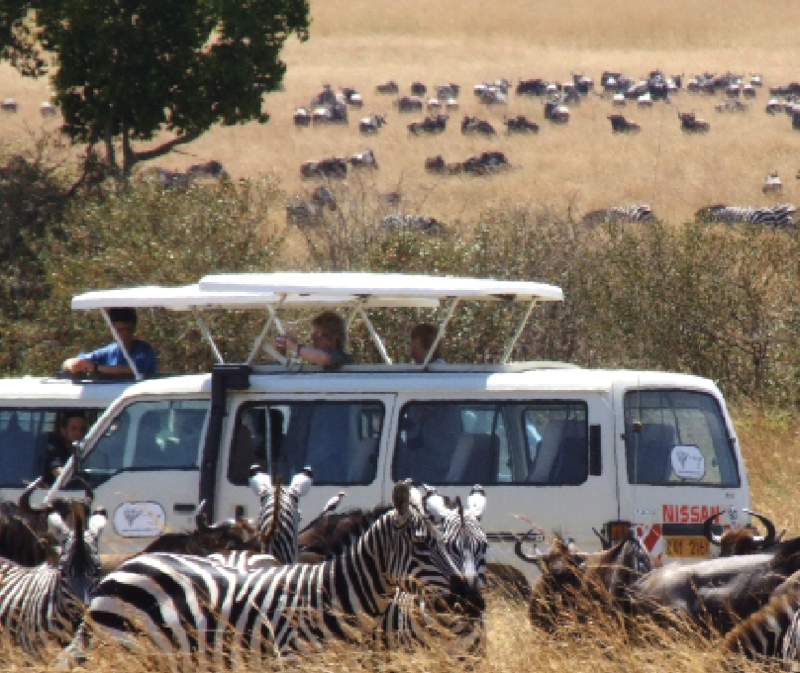 Tour of Nairobi, Masai Mara National Reserve,North South equator line Nakuru national park,. Going into the East African Great Rift Valley, the world of wild animals-Masai Mara Prairie. Enjoy the Indian Ocean seafood hot pot and the Scylla Serrata. Take an international flight to Nairobi, the capital of Kenya, known as the "Little Africa of Africa". Welcome to Nairobi, Our staff will be waiting for us at Nairobi International Airport ，After arrival, visit the urban area and the landmark international convention and Exhibition Center. After breakfast, head to the to Aberdare National Park area to stay at the COUNTRY CLUB Golf Hotel in a private sanctuary. There are a variety of animals on site. Interested guests can rent golf equipment from the hotel and enjoy the East African specialties that blend naturally with the animals. Golf, special arrangements after lunch: a professional guide leads you to the deep jungle of the reserve for an hour or so, then return to the hotel to rest and have dinner. Go to Lake Naivasha. The lake is rich of Striped bass, African crucian carp, and hippo. The cruise ship area is full of waterfowl and hippos. To see the ospreys, the boatman will whistle and throw out some small fish as bait. If the osprey notice that, it will flit down and catch the fish, then back to the tree and eat. It’s quite a quick move, please take shots carefully,All meals included. Passing though the Great Rift Valley and the Equator, be amazed when our locals explain and demonstrate the amazing Equator line. Are you ready for Flamingos and Rhinos? On the floor of the Great Rift Valley, surrounded by wooded and bushy grassland, lies the beautiful Lake Nakuru National Park. Visitors can enjoy the wide ecological diversity and varied habitats that range from Lake Nakuru itself to the surrounding escarpment and picturesque ridges. Lake Nakuru National Park is ideal for bird watching. Yes, the magical Masai Mara, let the fun begin. Game drives and then relaxing at our beautiful hotels. Have a few drinks and enjoy local food. Heading to back to Kenya's best city - Nairobi after breakfast. We will be stopping and experience the spectacular beauty of The Great Rift Valley from above. After having breakfast, we are heading to the airport, I know it's never easy to say good bye, but for now, it's time for my home sweet home. ※ Kenya Landing visa: $50/pp. ※ Personal expenses such as laundry, drinks, phone bills optional activities. 5. Cancellation of the itinerary and refund rule: cancellation 30 days prior to arrival, full refund; cancellation 20-29 days before arrival, 10% handling fee; 10-19 days prior to arrival cancellation, 30% loss fee; 9 days Canceled or did not appear on the day of the delegation, is non refundable . Halfway from the group, the money will not be refunded. ◎ The above fares do not include taxes and fuel surcharge. ◎ Please call for add-on fares departing from other cities.